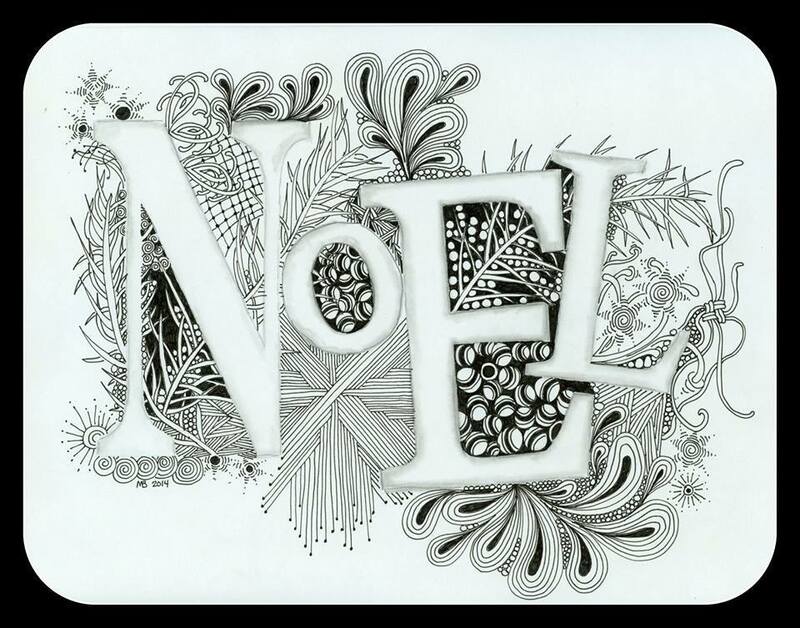 Noel Template is very a very light print. Don't ink in the lines id you want to achieve the look I have here. Print on heavy paper and tangle.